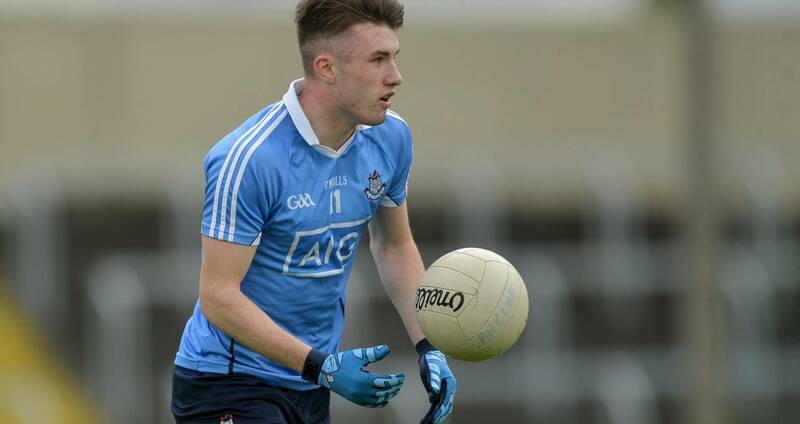 Dublin under-20 footballers made it two wins from two starts when defeated Westmeath by six-points in Monday’s Leinster U20FC Group 1 clash at Parnell Park. The Dubs started well with points from Tom Keane, Cormac Howley, Seán Bugler and the influential James Doran to lead 0-4 to 0-0 but were rocked by a 14th minute breakaway goal which was clinically executed for Seán Pettit to finish to the net. By the 20th minute the midlanders were 1-3 to 0-5 in front but Dublin finished the half on top to lead 1-8 to 1-5 at the interval. Dublin’s goal was something special with James Madden carrying the ball over 80 metres before sliding the ball low to the net past Jordan Nugent in the 25th minute. James Doran also kicked three points to give the Dubs a strong half-time position having played with the wind. Immediately on the restart wing-back Seán Farrelly got up the field to split the posts and points from Dan O’Brien (two) and Bugler pushed their side 1-12 to 1-5 clear. In the 41st minute Howley elected to go for a point with the goal at his mercy, again following unselfish play by Doran. Dublin’s second goal in the 47th minute when Bugler and Doran combined to effectively seal the deal as the home side moved 2-14 t o1-8 clear. But Dublin will not be fully happy with their conclusion to the game as Westmeath enjoyed plenty of possession and scoring opportunities. Before the finish Dublin goalkeeper David O’Hanlon made a great save to deny John Tumulty. Dublin face Wexford away in their concluding Group 1 game on Saturday, June 16 (2.0). SCORERS– Dublin: S Bugler 1-4, J Doran 0-4 (0-1f), J Madden 1-0, T Keane (0-1f), C Howley, D O’Brien 0-2 each, S Farrelly, C Archer (0-1f) 0-1 each. Westmeath: S Pettit 1-6 (0-3 ‘45’, 0-1f), T Molloy, J Tumulty (0-2f) 0-2 each, A Loughlin, G Carr, D Reid 0-1 each. 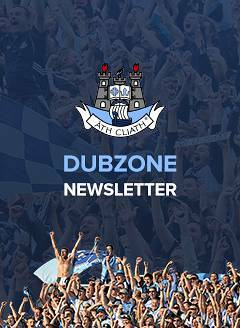 DUBLIN: D O’Hanlon; C Smith, N Doran, N Nolan; S Farrelly, N Matthews, E O’Dea; D Ryan, E Fitzpatrick; C Howley, J Madden, T Keane; D O’Brien, J Doran, S Bugler. Subs: J Holland for Fitzpatrick (41), C Archer for Keane (44), M Mullin for Nolan (47), R Shaw for O’Dea (52), K Lynch Bissett for Madden (55), R McGarry for Howley (57). WESTMEATH: J Nugent; E Bracken, G Carr, J Moran; C Dillon, E Nally, P Maxwell; A Loughlin, J Tumulty; J Maxwell, N Harte, D Reid; T Molloy, S Pettit, B Cox. Subs: K Regan for Cox (37), S Clinton for Dillon (42), B Kavanagh for Molloy (55), C McCormack for Reid (55).